All attendees must register by 5 PM on Monday, August 13, 2018. 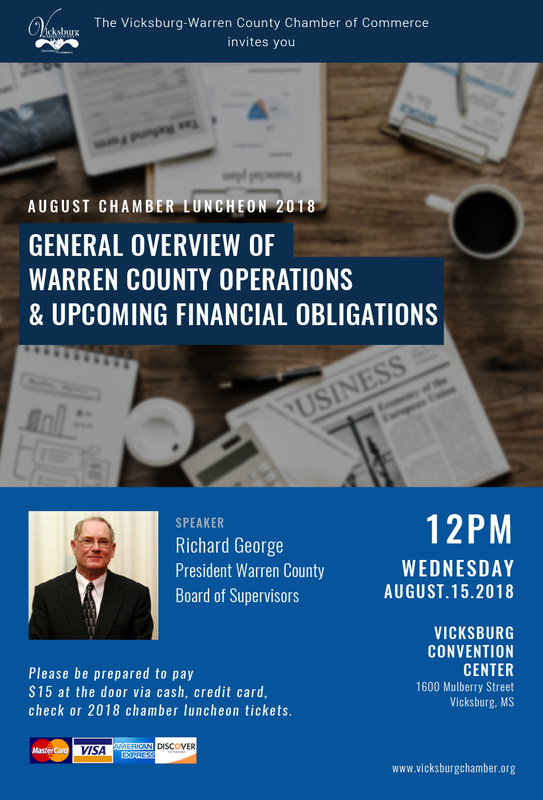 If you need to cancel your reservation please contact the Chamber office by close of business Monday, Aug. 13. Any reservations not canceled by Monday, Aug. 13 will be charged as a NO SHOW and you will be responsible for the payment. Lunch is $15 payable at the door via cash, check, credit card or luncheon tickets. We encourage you to pay in advance via credit card by calling (601) 636-1012.